An amazing online pet shop that sells luxury designer items from dog beds, dog collars, dog leads and several other fantastic accessories. 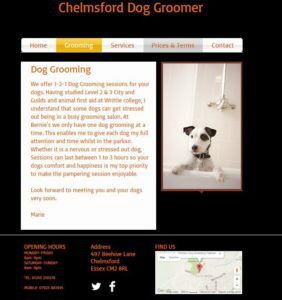 Dog Groomer based in Chelmsford Qualified C&G Level 3 offering 1-2-1, offering Dog Grooming & Dog Home Boarding. Petiques is a luxury pet boutique, with made to last products! they offer some hand picked and home designed items for your cat or dog. It’s an Animal lovers dream with products that can be displayed and appreciated by not just pets but people too. Helping pets live Longer, Happier & Healthier lives! 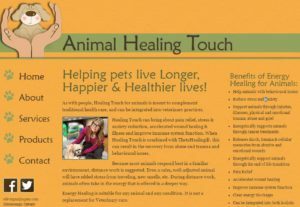 A healing touch for animals that can improve the recovery of abused and traumatized animals. Just like us, animals can also benefit from this. A healing touch can also improve in illness and even improve their immune system. They work wonders to help your animal reach their full recovery. 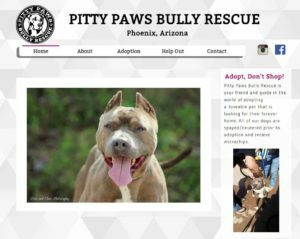 At Pitty Paws, they have one saying “Adopt don’t shop!” they really are truly amazing in what they do. They help several unwanted dogs get new homes every day giving them that second chance in life. However, Of course, this all costs time and money from feeding the dogs, microchipping to looking after their general health, so if you can help out in any way please visit their help page and make a donation, however, small or large it will be welcomed with open paws. Keep up the good work! Doggie Door Decor is the original creator of dog door décor, this simple but amazing idea can transform any old and tired looking doggie door into an amazing design of your choice. You can either choose a design on their website or you can upload your very own making it even more personal or if you would like to color match any living space. The designs can be removed, reused and cleaned. We give them a big thumbs up!